Sony Bend has dropped a new trailer for their upcoming third-person adventure Days Gone, showcasing some of the enemies encountered in yet-another post-apocalyptic society and with the game's protagonist, Deacon St. John, offering tips on staying alive to see another day. I don't like passing judgement on games before release, but Days Gone definitely gives off the vibe of a title that should have dropped several years ago. Almost every aspect of its design feels like it has been done multiple times now. Surely this third-person survivalist shtick is becoming passé? It can be expected in franchise sequels, originally built on the gimmick, (such as the upcoming Metro Exodus), but I am surprised we're still getting brand new IPs in this genre. 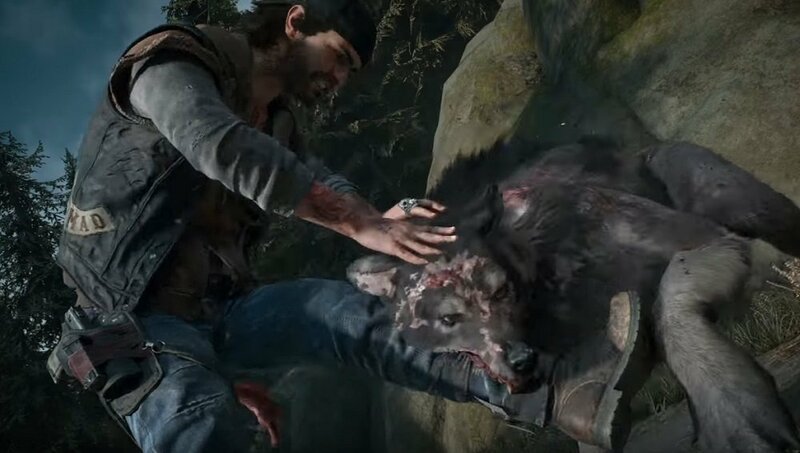 In its defence, Days Gone is a good-looking title, plus you can have a fist fight with a giant wolf. I just don't know whether the people are beginning to tire of this "lone badass vs mutant horde and human dirtbags" gimmick. I guess we'll find out once Days Gone drops, April 23, on PS4.